The Made Up Maiden: Product Review: Redken Diamond Oil Shatterproof Shine Intense. 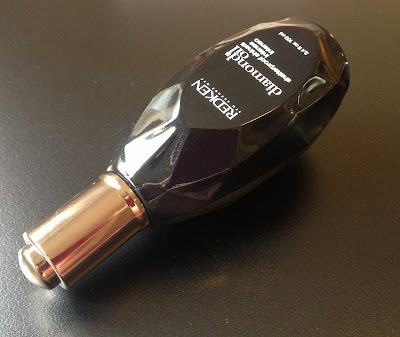 On to the topic of this post...I was kindly sent this lovely new Redken hair oil last month, and was quite keen to try it as I do love pampering my hair (read more on that here). I gave this a really good trial and here are my thoughts on this product. 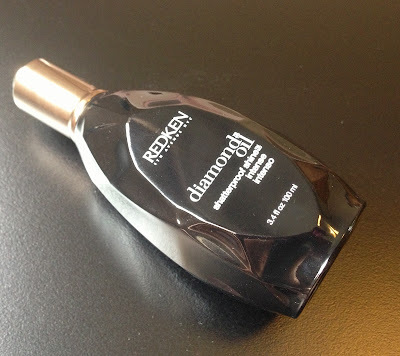 First of all, the Redken Diamond Oil Shatterproof Shine Intense (phew, what a mouthful, let's call it this oil from now on to make things a bit easier) is part of the new Diamond Oil range from Redken. It was officially meant to be released next month, in May, but Redken confirmed on Facebook that it's already available from Australian salons. I was fortunate enough to receive a deluxe sample of the new shampoo, conditioner and mask from the range in my Her Fashion Box (reviewed here) so I've been able to try this out both alone and in conjunction with the shampoo/conditioner and mask from the range. If you're anything like me, you're wondering how it differs from the other Redken ranges (just quietly, I'm obsessed with Redken All Soft). According to the Redken website: "Diamond Oil utilizes an exclusive formula of silicone free oils, including camelina oil, coriander oil, apricot oil, olive oil, jojoba oil, coconut oil and others, to strengthen from inside out. It's also supposed to deliver unprecendented strength and shine (which is where the diamond bit comes in, I presume)." 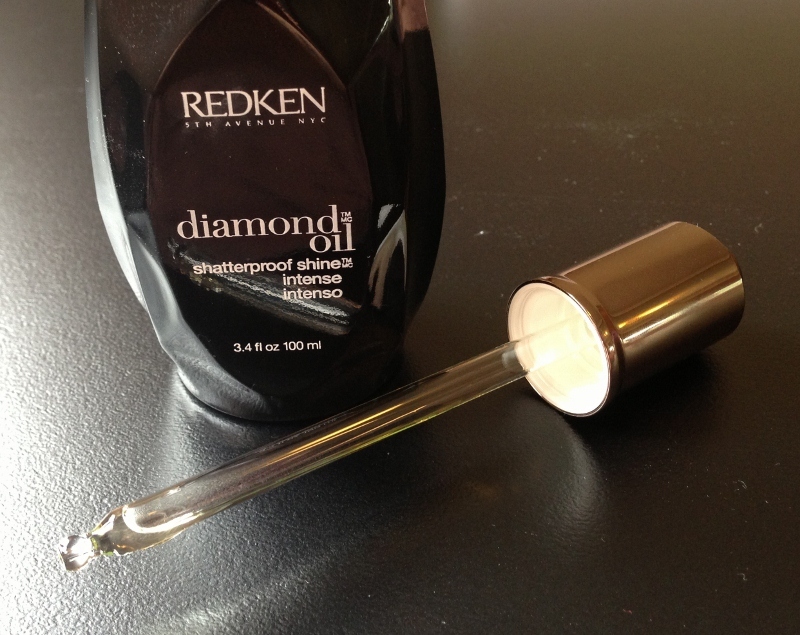 Redken Diamond Oil Shatterproof Shine Intense Ingredients. Firstly, let's talk about packaging. It's packaged in a fancy, faceted black bottle to mirror the surface of a cut diamond, and it's got a fair bit of weight to it. I like how luxe the bottle feels but I am also a wee bit nervous of dropping it and having it shatter across the floor. What I quite liked about the design is that it comes with a push top dropper (for precise application - there's no fear you'll accidentally tip too much out), as you can see from the photo below. While great in theory, mine unfortunately stopped working after 3 uses, so I'm now back to having to unscrew the top and tip some oil out into the palm of my hand. The dropper in the cap of the bottle. Dropper in the cap of the bottle. The oil is a pale golden colour, and is lightly scented. I'm actually hard pressed to pinpoint exactly what it smells like but I would describe it as a warm and pleasant scent, which is not at all overpowering. I like to use it by applying a few drops to damp, towel dried hair, drying off with a blow dryer, and then finishing with a couple more drops to calm frizz and flyaways. You can also use it as a treatment by applying a liberal amount (leaving it on overnight), before washing it out the next day, and also by mixing it with your regular hair mask. Needless to say, this isn't going to turn a haystack into soft, flaxen silk, but it does do a fantastic job at smoothing out kinks and keeping hair feeling silky until you wash it out. It might work just a smidge better when used in conjunction with the shampoo, conditioner and mask in the range, but it also performs just as well on its own. I can't really judge if repeated use of the other products in the range might result in stronger, more shiny hair, as I only got a few uses out of the deluxe shampoo and conditioner samples I received. I'd also like to point out that this oil can weigh hair down a little if too much is applied; it's actually formulated for coarse hair (which fits the description of mine perfectly), but it does come in a lighter version to suit more hair types (click here to check it out). Overall, this oil really does live up to the promise, I find that my hair is a lot softer and easier to manage with regular use of this, and it really does keep frizz at bay until you wash it out. It also lends a little bit of shine to my hair, but nothing that's too obvious to the naked eye. I'm not 100% sure what the regular retail price of this product is, but I believe it is approximately $49.95. 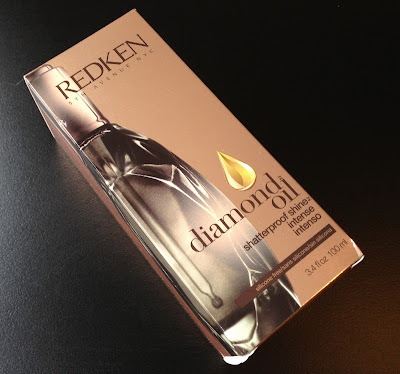 Redken Australia are currently offering a competition where you could stand to win one of 100 Diamond Oil packs, so hop to it by clicking here. What do you think of this product, lovelies? Does it catch your fancy? Note: This product was kindly provided for my consideration. This has not affected my opinion in any way. For more information, please refer to my Disclosure Policy. They are great, I've never tried Mythic Oil before, but it certainly has a great reputation! I haven't tried this yet! I have a sample of it too, I really need to pull it out. I love the full size packaging of it - talk about fancy! I just bought the diamond oil deep facets intensive treatment. I will let you know how it works. Ive been wondering about this and lusting for it so thanks so much for the review :)The applicator is such a wonderful idea. Jeez I really want it even more now. It sounds like the ultimate luxury for hair. It is in theory, but not so much if it stops working! i NEED this in my life. I love the samples of the range from HFB. I actually used the shampoo and conditioner this morning and it's left my hair so soft and smooth. I've already finished the hair mask and I LOVED it!! I've never tried hair oils. I keep meaning to! Oh dear, luckily my hair is quite thick so most things work well enough. Perhaps give the lighter version of this oil a try? This one can weigh it down a bit if you put on too much. This looks like a good product - silicon free yay! Unfortunately I've tried a number that do contain silicones and they are just too heavy for my hair (and lead to breakouts on me yuk!). I absolutely love the Redken diamand oil. Like all other Redken products, it's worth the price. Does weigh Down if u have fine hair, and use to much.but brought back my bleach blonde hair. It soft, silky, easy to mange. Love it. April 2013 Lust Have It Review. Navy and Scarlet Dry Marbling Nail Art. Pink & Black Makeup Look!